In Germany, Lidl is known for its slogan “Lidl lohnt sich” (Lidl is worth it), especially due to its competitive prices. Moreover, another aim of this website is to convey the high quality of the company’s own brand range. Part of an extensive campaign, the website was launched in February 2015 through different channels. In order to prove the claim that quality has the highest priority in everything the company does, the food products themselves became the main protagonists and are presented in a clearly arranged typography and with appetising, large-format photographs set against a dark background. 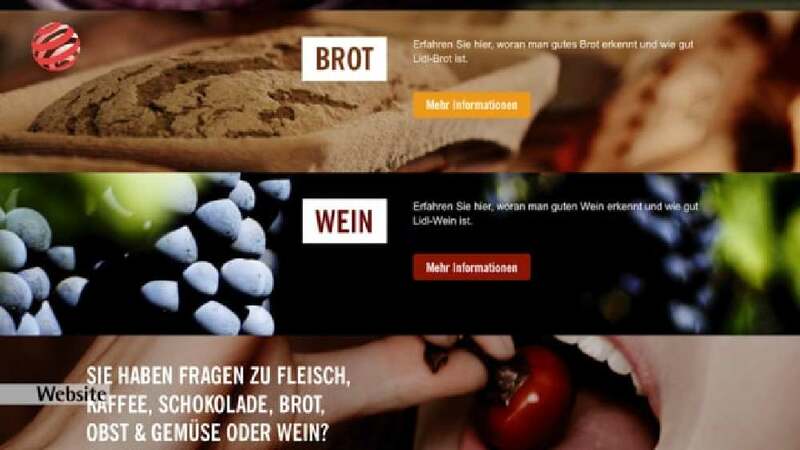 The platform lidl-lohnt-sich.de wants to deliver hard facts to consumers and encourages them to learn about how the company defines quality and what this commitment to quality stands for. Presenting information on where the products come from, how they are transported from the manufacturer to the stores, and what measures are taken to ensure a consistently high quality, the website reveals each step of the production chain and, in case any open questions remain, invites users to resolve them in a direct dialogue with Lidl. Thanks to its clear structure, the campaign website succeeds in presenting the complex subject of a highly versatile product range in a transparent and highly aesthetic manner. The design convinces with outstanding imagery comprising high-quality photographs that whet the appetite and thus convey the message most vividly and convincingly. The website is easy to navigate and delivers a perfect user experience.